Cat aggression is a serious issue. Not only because it can cause injuries to other cats, pets, or people, but because it isn’t always easy to solve. Relationships in a cat household are complicated and finding the right key to ensure peace is a long process which requires dedication. In many cases, aggression may be so severe that no significant progress can be achieved without using medication. But is sedating an aggressive cat a golden key to all your problems? Most cat aggression cases can be stopped without using drugs. 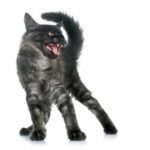 Sedatives and other drugs that are used in cat behavior modification are a great aid in solving severe cases–for instance, if a cat responds excessively violently relative to the trigger, when a trigger is hard to control or predict, or when there is a line of different triggers for your cat’s aggression. In short, drugs should be used only in those cases that are labeled “not normal”. Is this your cat’s case? Well, you should not be the one to decide. Drugs can be prescribed by veterinarian only. They can be suggested by a cat behaviorist, but the final word must come from a veterinarian. 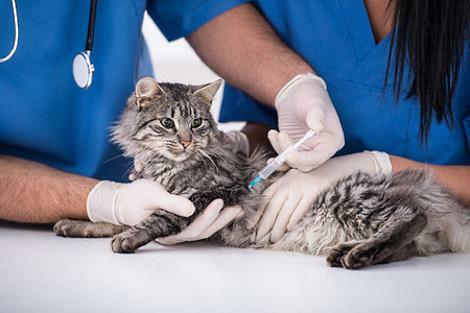 It is not only important to understand how a certain drug affects behavior, but how it might specifically affect your cat’s health. Things like medical history, chronic conditions, and physiological characteristics must be considered when prescribing drugs. If you are a cat owner who thinks that your cat’s violence might be reduced by using sedatives, think again. Or don’t think. Ask a cat behaviorist or veterinarian for a consultation. Drug therapy must be in parallel with behavior modification. To answer the earlier question, drugs are not a golden key to curing a cat’s aggression. Drugs DO NOT treat the cause of aggression; they provide a symptomatic approach, similar to scooping water from a leaky boat. It does help, and often is absolutely necessary, but you will be drugging your cat for the rest of his life if you do not fix that hole. Why is that a problem? Drugs often cause severe side effects. 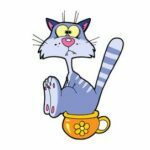 These can differ from drug to drug, but side effects of the drugs most commonly used for cat aggression are reduced appetite, constipation, difficult urination, increased heart rate, dry mouth, dry eyes as well as addiction to a particular drug. Lethargy may also be observed, though this isn’t a real side effect if it’s what the drug is supposed to achieve. 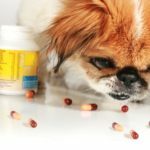 Additionally, prolonged use of drugs can have long term effect on a pet’s health, which is why they must be used responsibly. Drug therapy for aggressive cats is a long term goal. In general, treatment usually lasts for 3 to 6 months. Not only that, disconnection from drugs also occurs over a significant period of time, during which the dosage is gradually reduced. While precise numbers are up to your veterinarian, the main point is that it takes time. Do not expect quick results–drugs are used in severe aggression cases, and fixing severe aggression requires severe amounts of time. All that being said, drugs are really a great help in solving a cat’s aggression when it’s clear that the level of stress, fear, and insecurity has put so much on a cat that he can’t handle it by himself, even if the causes of his aggressive behavior have been resolved. Otherwise, keep in mind the serious purpose of medical drugs. They should be used only when absolutely necessary and prescribed by professionals. There is no place for medical drugs in DIY cat behavior modification.